This weirdo actually works – not all the time, but often when its calm and in the morning when trout feed on buzzers. 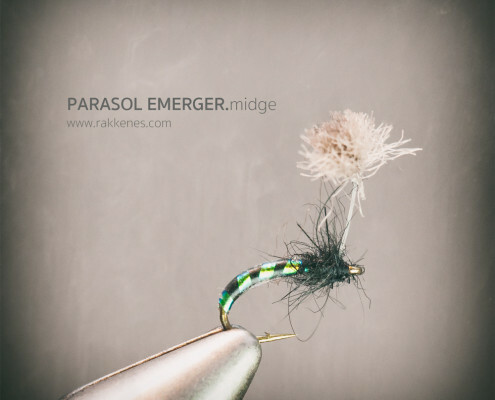 This is the parasol midge emerger – best used when there is no wind and the trout are keen on emerging midge. Not everyone like this fly. Actually I guess most people hate the design. I don’t know what I do, but it catches me some fish every now and then. Often it’s stated that the parasol creates a propelling effect and mess up the leader. That can be true if the parasol is to long. But if you hold your horses and doesn’t exceed an inch (2,5 centimeter) in length you’ll do fine. Also make sure the parasol is stiff – I like to use tippet material in 3X for hook sizes round 16-18. The fly actually looks more difficult to tie than it really is. It is also easy to fish. Just like the old days when you fished with worms attached to a floating cork. After finishing the abdomen, apply some bug bond and use the torch to create a shining effect. I primarily fish this as the only fly. 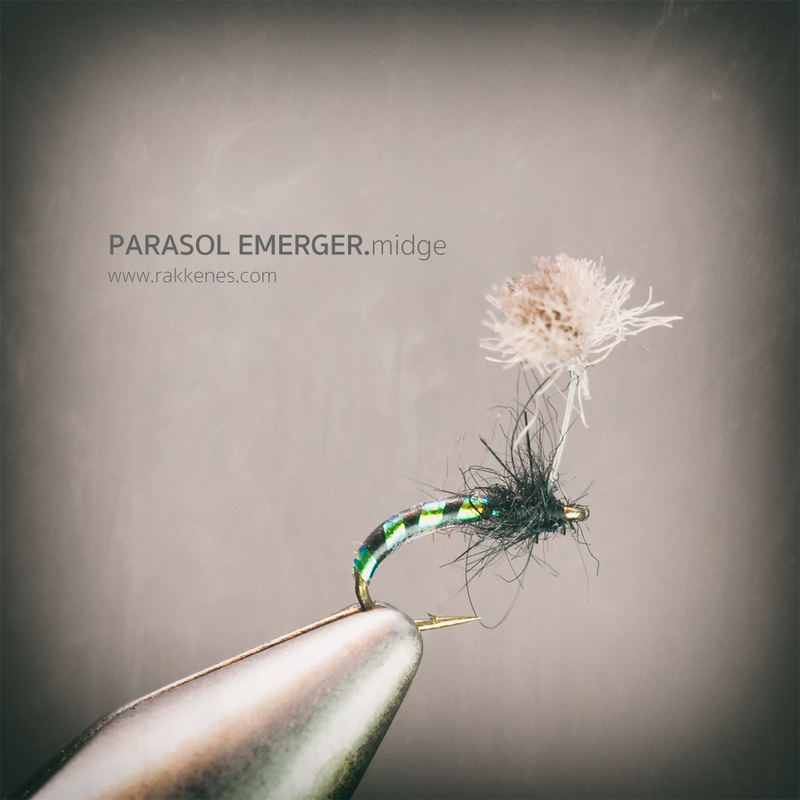 Use a long leader – as thin as you dare go on the tippet size. Apply floatant only to the parasol. Let it drift freely or lie “dead” in the water.